Sigh…Thanksgiving has come and gone and for many of us that probably means a LOT of turkey leftovers! 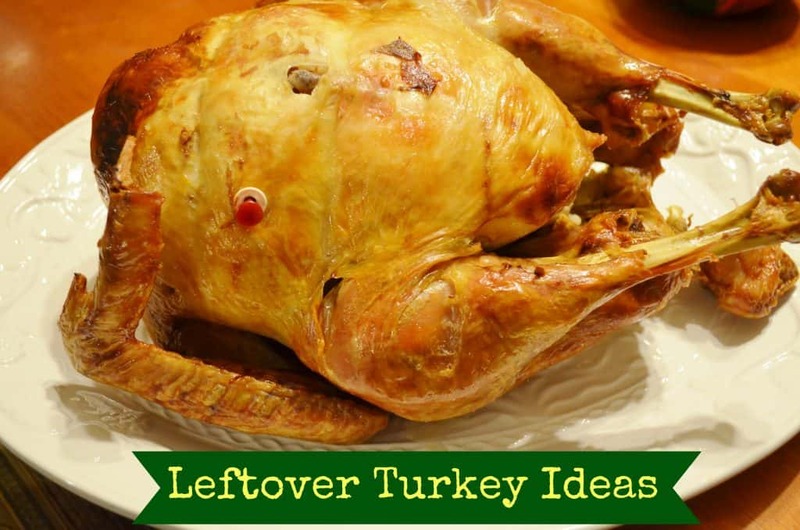 For our family we specifically have a TON of turkey leftovers! And let me tell you our turkey was SO easy! We just put our thawed turkey in this awesome Roaster Pan and cooked it for 325* for 4 hours! (Although one year I did cook our turkey in a crock pot!) I put half a stick of butter on top to melt down in the oven and just sprinkled on my favorite spices! Usually some thyme, rosemary and oregano. Don’t forget the salt! I highly recommend using a pop up timer too – they are cheap and so easy to tell when your bird is cooked. Since we went out of town the day after we cooked our turkey I knew we had to freeze everything right away. 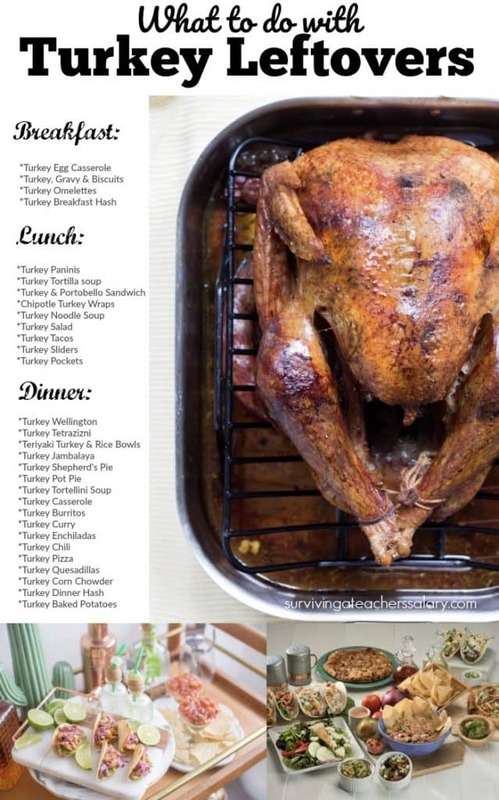 BUT WAIT – before you just throw it in the freezer you can EASILY set your turkey leftovers up so that you’re ready to make an easy meal with very little prep! 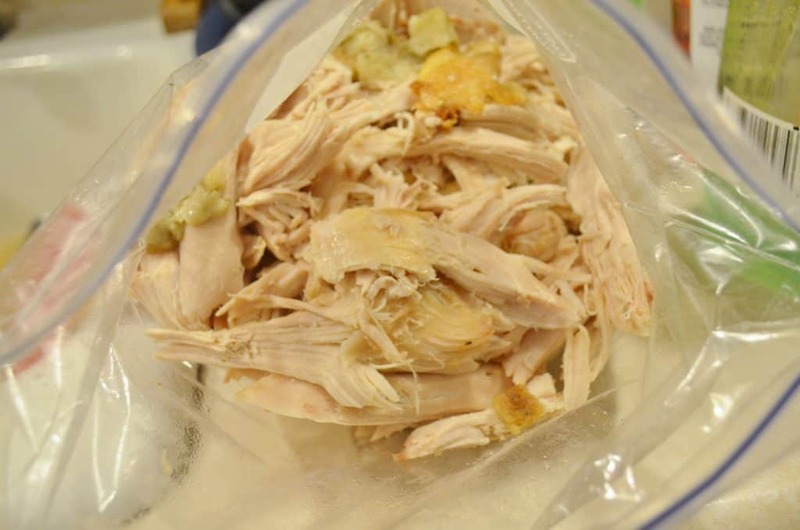 Here’s what you do- After your big turkey dinner is done and you’re ready to freeze your leftovers shred your turkey off and throw all of it into a ziploc bag . Just like this! Then dump in 1 bottle of KC Masterpiece BBQ sauce (because that’s my fav! ), seal your ziploc bag, squish the bag a little to mix it up. It really couldn’t be easier!! Then add the date on your bag with a permanent Sharpie marker and pop the whole thing in the freezer! You can easily just throw in your other leftovers to mix it up a bit too! Toss in your leftover mashed potatoes, corn, green beans, whatever you want. I added chopped up celery pieces to mine! When you’re ready for a meal just pulled it out and dump it in your crockpot to thaw and serve on hamburger buns as a pulled turkey sandwich! *Mix together rice, Velveeta Cheese, broccoli and turkey!